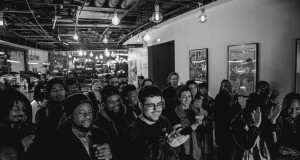 Sound Connections and London Youth have been working together since 2018 to bridge the gap between the music and youth sectors and, for the first time in January 2019, we hosted a training and networking session that brought together youth workers, youth centres, Music Education Hubs and other music organisations. The room was absolutely buzzing with energy and excitement about the opportunities for better collaboration and connection. To read the full list of challenges and opportunities that were identified at the event, click here. We’re now thinking hard about how Sound Connections and London Youth can continue to facilitate progress in this field; it was clear from the discussions and passion that there’s lots to be done and so much potential. In the first instance, because working with Drill music came up repeatedly during the session, we have programmed a session led by youth worker and journalist Ciaran Thapar (who recently wrote this about Drill) at our annual gathering ‘Inclusive Practice in Action’ taking place on Thursday 14 February. There are still a few tickets available – check it out here.